I am an actor, playwright and journalist. It is still not clear to me in which order, but for sure all these activities are interconnected when I write a theatre play. I realized that both plays I wrote by now started from news or journalistic reports. In one case, there were news that I heard about on television, in the other one it was a story that I told myself in a report for a national publication. I am interested in the exceptional circumstances, where usually people take parts easily, almost radically, to defend one point or another. I like to fictionalize real life events and give a voice to the voiceless. I always try not the get moralistic, but I try instead to challenge the audience with enough information about the characters and the situations presented, so the audience can make their own mind. I am fond of political debates, social movements and human rights but, probably this is where the actor in me is talking, I believe the real magic of theatre lies in understanding humanity. 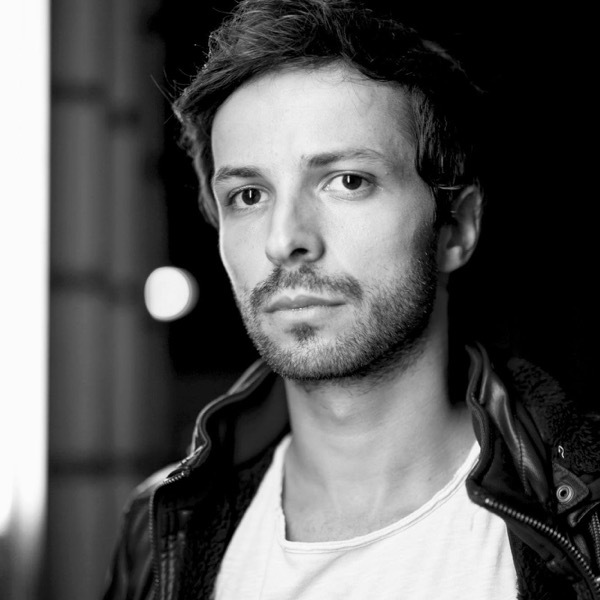 Gabriel Sandu is 29 years old Romanian playwright, actor and journalist. He made his debut as a playwright in November 2017 at the National Theater of Târgu Mureș with the play „My father, the priest”, which he developed within a recidency he won in July, 2016 at Reactor de Creație și Experiment, Cluj Napoca. He was inspired to develop this play by an article he wrote on VICE Romania which was saying the true story of a priest who was fighting to change the meaning of a phrase in the National Constitution of Romania against the LGBT people, while his own son was gay. „My father, the priest” is not the only play Gabriel wrote. When he was 18 years old he won the DramAcum competition and FestCo contest with „Bambies”, a three story play inspired by tv news who had at their core children in very peculiar situations. As a professional actor, Gabriel starred in several performances and movies during the years, in Romania, but also in other countries from Europe. From musicals (West Side Story, directed by Răzvan Mazilu at Odeon Theatre, Bucharest), to social theatre (Europes, directed by Armel Roussel at National Theatre of Brussels, Belgium), Gabriel was often near projects where he worked devised and used his own experiences and writing skills in the making of certain productions. As an artist, he was always attracted to the news field. During the years he used his social media audience to debate certain social issues. In december 2015 he started to write essays and journalistic reports for VICE and other outlets. He won several recognitions for his work as a journalist, like the Friends for Friends Foundation grant. Most recently he won the Digicomnet Professional Fellowship offered by the State Department of USA, a recognition offered to 15 journalists out of 600 applicants from Central and Eastern Europe and Central Asia. In 2016, together with Barna Nemthi (film director) and Radu Stancu (film producer) he founded Brrlog.com, an independent journalist platform guided by the motto „artists trying to inform”. This play won the DramAcum Competition in 2008 and FestCo in 2009. The structure consists in three stories – each of them has a kid as the main character. All three stories are fictionalised events that I heard about on the news. The text bellow is a translated version of the first story of the play. – The first kid – his mother believes that he is Jesus himself and never lets him out of their house. Everyone thinks she is killing him, but she just wants to protect him. This text was premiered in November, 2017, at the National Theatre of Târgu Mureș, directed by Leta Popescu. Little background for the non-Romanian reader: in 2016, in Romania, there was a petition that raised 3 milion of signatures from people who want to change the definition of the family as it is stated in the national Constitution. The movement was hardly financed by neo-protestant evangelical churches from the United States of America and evangelical churches from Russia, with the local implemantion of Romanian orthodox churches. The final aim for the movement is to make it illegal in Romania for LGBT couples to get married. In the past year, a guy who is the gay son of an orthodox activist against lgbt priest approach me and told me his story. This is the fictionalized version of the events.